I continue reflecting on my drawing practice and experimenting with ways I use the internet and computers to augment that practice. 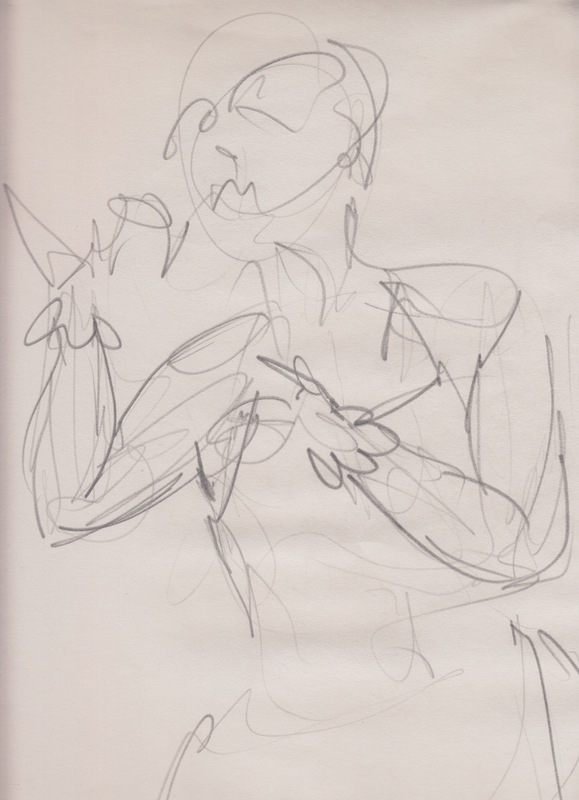 This morning it boiled down to… “what am I doing with the drawings I generate at Dr Sketchy? where are they going? what’s the point? !” I have a desire to share them with others, and to use them as stepping stones as I work through this thinking out loud, but have many questions about platforms, presentation styles, plugins, and on and on and on. What inspired me yesterday was coming across a tumblr blog of a buddy from the Sketching classes, Mr. Vincent K. Smith A.K.A Creepstown. 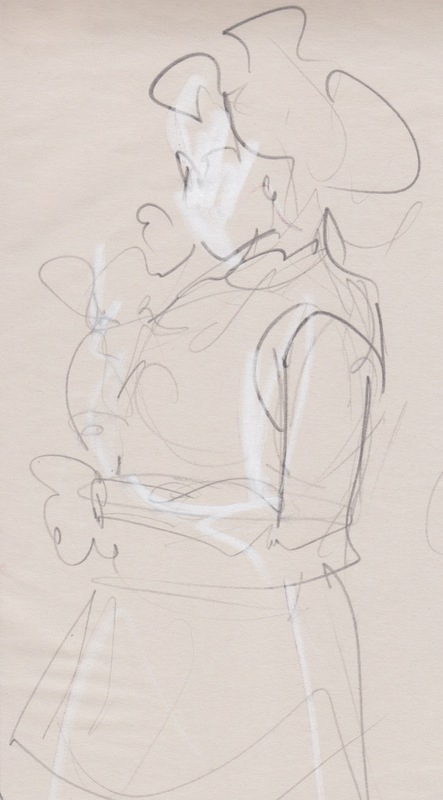 He’s set up a tumblr blog for his sketches which is FANTASTIC, and whose site I at once want to copy. Then of course begins the second guessing. What is all this about using a 3rd party social media site, when I have a perfectly functioning blog right here? Why should Tumblr get me content for free (and the traffic!) when I could be generating that energy at jasontoal.ca. BUT… there is a community of tumblr blogs out there that I follow, why not join them? The lightbox is pretty good and SEPARATE from my blog, a good place to post “quick and dirty sketches” without having to commit to a thoughtful post, and I get the benefit of the huge tumblr audience and all their reblogging and favouriting to help get my work seen. But is pure numbers my objective here? Also, I am an instagram user, and found a lovely little plugin that takes all my IGs and imports them into my blog for posterity. It saves as ‘draft’ by default, by I like the idea that I GET TO KEEP MY INSTAGRAM posts, and could do so wether IG stays afloat or not. There could potentially be similar plugins for tumblr. I have come to no ultimate decisions about how I will proceed sharing my sketches, but I will make the effort to do so. Not the finished pieces, but the sketches. The 1, 2, and 5 minute poses that we do during our warm up. I often throw these away because I cant keep everything, but inevitably there are little pieces of magic in these drawings that I love and want others to see. What I intended for this post which was to scan the drawings from my last session and share them in a gallery here and that is all. I am not sure tumblr will play a role but honestly if I can have my cake and eat it too why not? In this practice I can say it is the actual scanning and file maintenance that is the most tedious task and biggest barrier to sharing. I am going to focus on scanning, uploading and sharing and will continue to experiment with different Gallery tools, Social Media and Plugins to share them in a meaningful way. Below is a prototype for a drawing activity and presentation I have been experimenting with. It came about during an “instructional skills workshop” in which we are asked to prepare and deliver a 10 min. mini lesson. 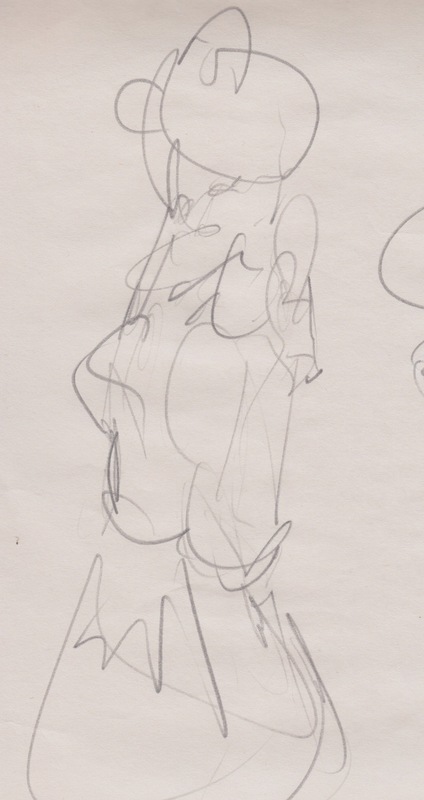 This activity is designed to get participants to see the world in a new way using a classic drawing technique called “blind contour drawing“. 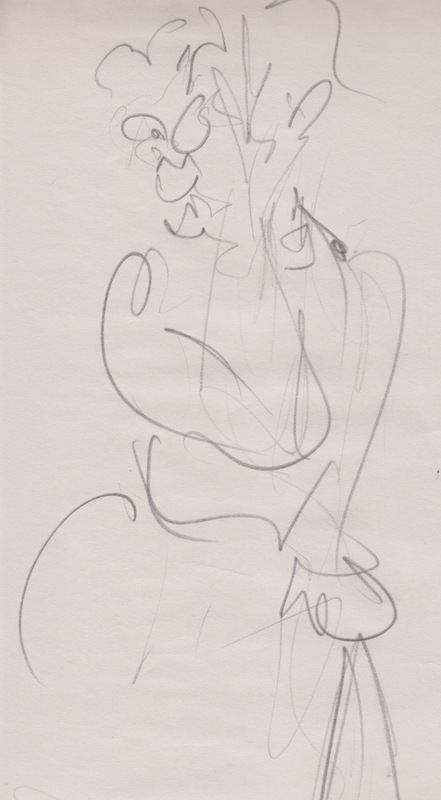 The images below are meant to be printed out and used during the lesson, but additional materials are needed to conduct a proper blind contour drawing activity. 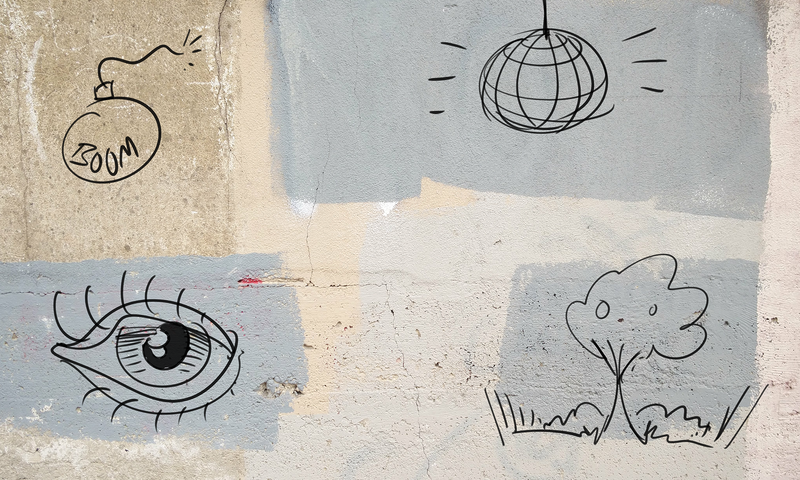 It's not always easy to distinguish if we are drawing from our imagination (what we think we see) or drawing from observation (what we really see). Lets try the former first, drawing from imagination. Please draw a picture of your favourite chair, as realistically as possible. Blind contour is a challenging activity that artists use to 'unlearn' the way they are used to seeing. The rules? there are only two but this activity could take a bit more - Do NOT look at the paper while you are drawing, and once your pen touches the page it stays on until the end. A set up of this activity is in the post below. The purpose of this assignment will be to familiarize students with a exercise in drawing that has been used by artists throughout history. Students will learn the significance of line in drawing as well as train their hands to truly draw what the eye is seeing. They will complete multiple quick blind contour drawings and then finalize with a image where they are allowed to focus on the object. Emphasis is placed on the development of the hand to accurately execute what the eye is seeing after the exercise not, on the quality of the blind line drawings. Materials: 18”X24” drawing paper (white & black), pencils, chalk & oil pastels. Several objects for still life. 1. become familiar with line as contour. 2. Be able to develop their hand - “minds eye” coordination. 3. Deconstruct drawing from a serious painstaking work to one that is quick and intuitive. 4. Express the emotion in the line. 5. Explore the variation of materials used to make the lines. 6. Blind drawings and finished drawings must be completed on the same piece of paper. (front & back if necessary) but, students need to # drawings to allow them to reflect on the process. 1. Set up still life in corner of room and have students arrange their chairs so that they must have their heads turned away from their paper to view objects. 2. Pass out paper and pencils to students. 3. 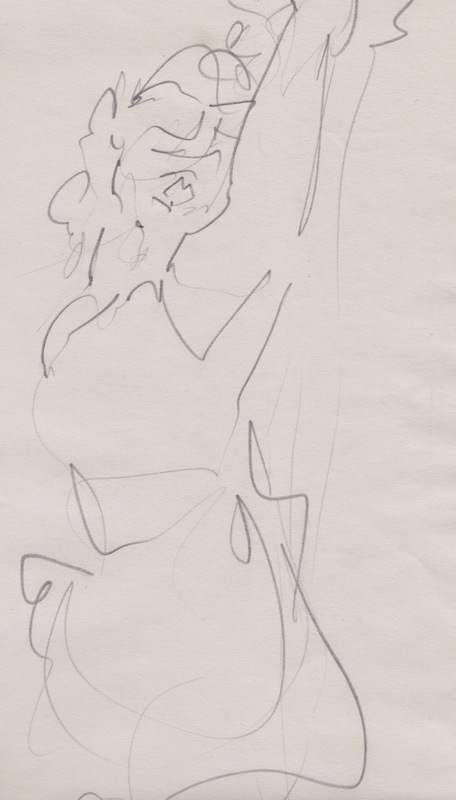 Demonstrate to students how to do a quick 1 minute line drawing. Emphasizing that the drawing will not be high-quality and thats “ok”. 4. Explain that students are to draw the same perspective every time no moving or selecting a different area of interest. 5. Time several quick drawings varying times from 1 to 3 minutes. 6. Pause for reflection after the first 3 drawings. Ask students to reflect on what they see vs. what is being produced on the page. Do they see emotion in the drawing? Can they see some formation of the objects they are attempting to draw? 7. Allow students 15 minutes to execute a drawing of the still life after completing 5 blind contour “takes” of the objects. 8. Display quick drawings so that students may see that all struggle with this exercise and see how each develops from separating the eye from the hand. 9. Discuss with students the exercise. Did they find it useful? Freeing? Was it easier to execute their drawing after the blind drawings? Would they do it again? 1. Referring to the position of the hand on the paper is minimal. 2. Demonstration of an attempt to accurately render the objects is perceptible. 3. Progression from the first drawing to final finished piece shows and increasing mastery of contour. 4. Constructive participation in classroom discussion of the method. 1. 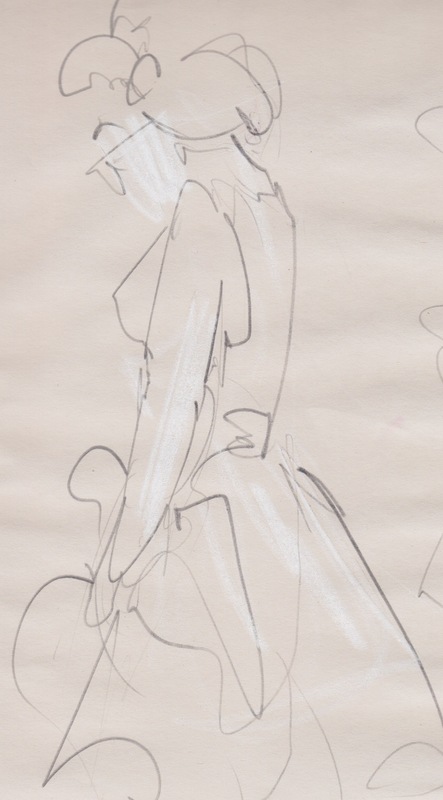 Execute 10 quick blind line drawings of 2 objects over 3' tall or 3' wide.